15% fat is getting down there. It’s hard to do when a diet contains animal foods, dairy, and added oils. I notice that Dr. King didn’t go out of his way to call his diet “low-fat.” Maybe he thinks 15% fat is average? Yet people in the “low-fat” arm of the highly publicized PREDIMED study, the one that compared a Mediterranean diet to a “low-fat” diet, were eating 37% fat. Is 37% low-fat? 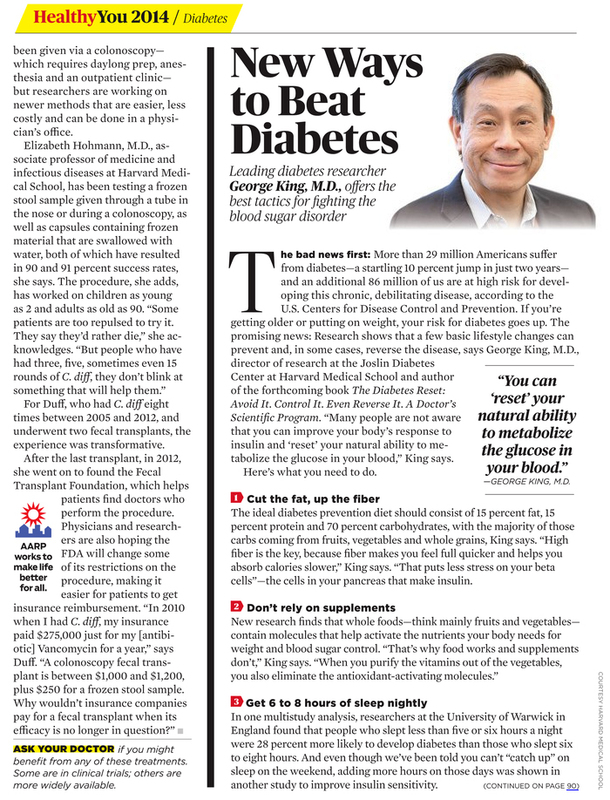 When people see their blood glucose steadily creeping up as they age, the first thing they think to do, the first thing many docs will tell them to do is to cut carbs. In one way that’s good, because many people see a donut as a carb (but it’s also a fat). But in many more ways “cutting carbs” is bad because it results in people cutting out potatoes, rice, squash, corn, bananas, peas, and lots of good starchy plant foods. It’s also bad because when people cut carbs, they, by default, increase fat and protein. And there have been a lot of studies implicating dietary fat in the development of insulin resistance, and so, eventually, diabetes. You can get your blood glucose down, you can improve your cells’ sensitivity to insulin, by consuming more minimally processed grains (oats and barley especially) and vegetables (potatoes, sweet potatoes, squashes, beans) … that have not been prepared with, or served with, gobs of fat. So I’ve read.